Embark on a sensory journey of discovery when you take a seat for one of our wine tasting experiences whilst enjoying the panoramic views of the Simonsberg Paarl mountains. 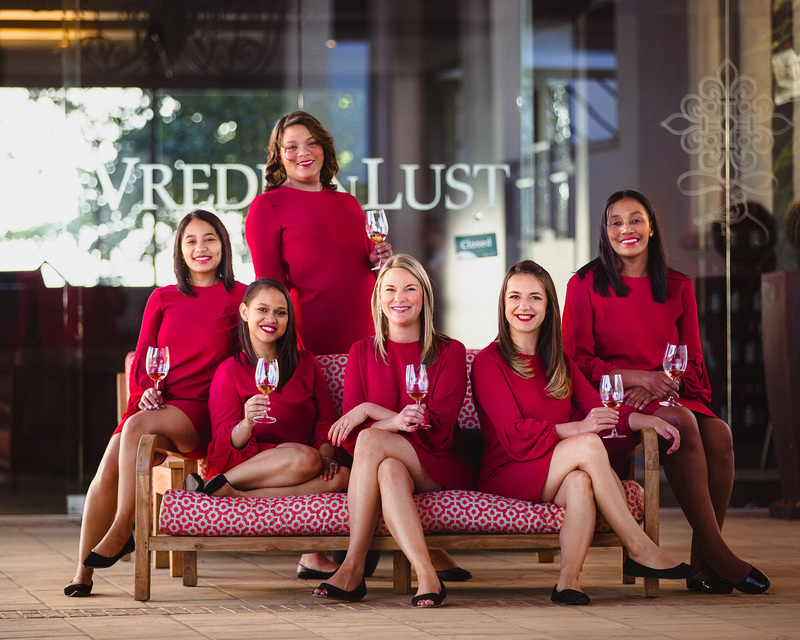 Our professional and knowledgeable tasting ambassadors, better known as the Red Ladies, will guide you through our range of wines. To accompany our wine tasting, we offer a beautiful selection of Ploughmen’s or Cheese platters with freshly baked breads. We are open on all public holidays except Good Friday, Christmas Day and New Year’s Day. Please book your group tasting no less than 24 hours in advance with Lourenza Terblanche or on 021 8741611. Unfortunately we are unable to accommodate groups larger than 26 people. Unfortunately we are unable to accommodate group bookings during December.